Our Science Clubs are completely hands-on, inquiry based and FUN! Sign your child up for Science Club and build a love for science along with developing problem-solving skills, teamwork, self-confidence, independence and purposefulness. We offer after school and in school science clubs at local schools and community centers. New locations are being added all the time. Join our mailing list to stay up to date. Do you want organize a club? Click here! All Clubs for Winter 2019 are full or have started. Please visit our Summer Camp Information page! Don’t delay! Most Clubs require a minimum of 10 kids and registration before one week prior to the start of the Club. Explosions, bubbling potions, and chemical reactions! Kids make elephant toothpaste, try fizzy fruit, create 20 foot geysers with cool chemicals and learn about the elements on our huge periodic table. This club is hands-on and age appropriate. Explosions, bubbling potions, and chemical reactions! 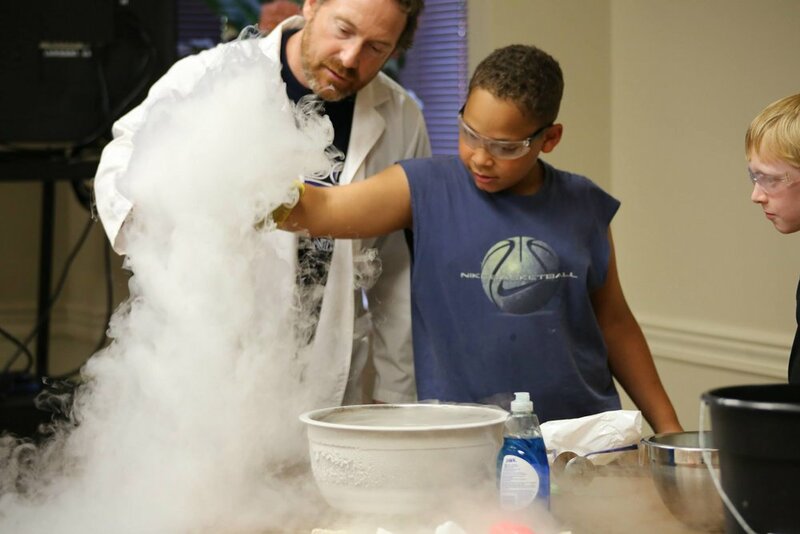 Kids make elephant toothpaste, try fizzy fruit, create 20 foot geysers with cool chemicals and learn about the elements on our huge periodic table. This club is hands-on and age appropriate. and perfect for ages 5-12!. Session 3 - February 7, 14, 21, 28 Sign Up Now! $50 for 4 weeks. Supply fee included. Each session lasts 4 weeks and brand new experiments will be introduced in each session. Come for one session or register for them all! Each session lasts 4 weeks and brand new experiments will be introduced in each session. Come for one session or register for them all! $50 total for 4 weeks. Be an engineer and learn how engineering is involved in everything we do! This club features hands on learning where kids will design bridges, create robots, and test out circuitry with DIY dough circuits. Be an engineer and learn how engineering is involved in everything we do! This club features hands-on learning that teaches kids to actually build bridges, create robots, and test out circuitry with DIY-style batteries! Be an engineer and learn how engineering is involved in everything we do! This club features hands on learning where kids design bridges, make things that fly, and test out circuitry to make things work in an efficient way. Nov: 12, 26, Dec: 3, 10, 17 Jan: 7, 14, 28 Feb: 4, 11. Currently only open to Harding Students. *Non-Harding Students. Contact us for more information. Explosions, bubbling potions, and chemical reactions! Kids make elephant toothpaste, try fizzy fruit, create 20 foot geysers with cool chemicals and learn about the elements on our huge periodic table. This club is totally hands-on and perfect for ages 3-6!